Make your operation faster, smarter, more efficient, and more productive. Put the industry’s most innovative software to work for you with eVue by E-Tech. The eVue suite encompasses material handling control, plant production management, and labor tracking capabilities—so you can optimize processes, anticipate problems, and make informed decisions. Our global engineering and installation experts customize eVue to your operation, giving you the power to get the most from our unmatched eRail Monorail systems. E-Tech combines the wisdom of experience with the momentum of innovation so you can move your business forward. 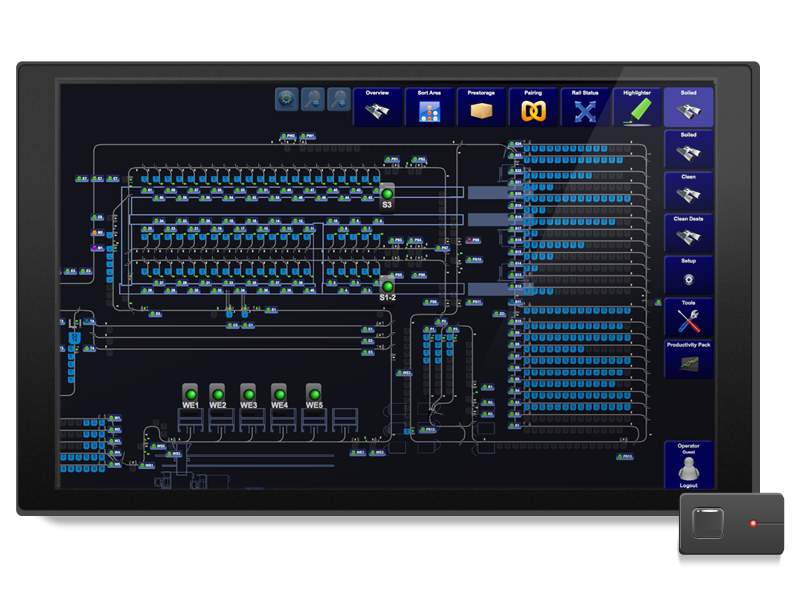 A reliable, secure and intuitive web-based system designed to provide operators and management visibility and control of their production lines. Ensuring their facility is operating at prime capacity. Advanced system diagnostics capabilities, intelligent alarms, trolley barcode validation, multi-lingual, intuitive user experience, integrated equipment communication, and superior production routing and tracking makes eVue Control the leading production management software for commercial laundries in the industry. 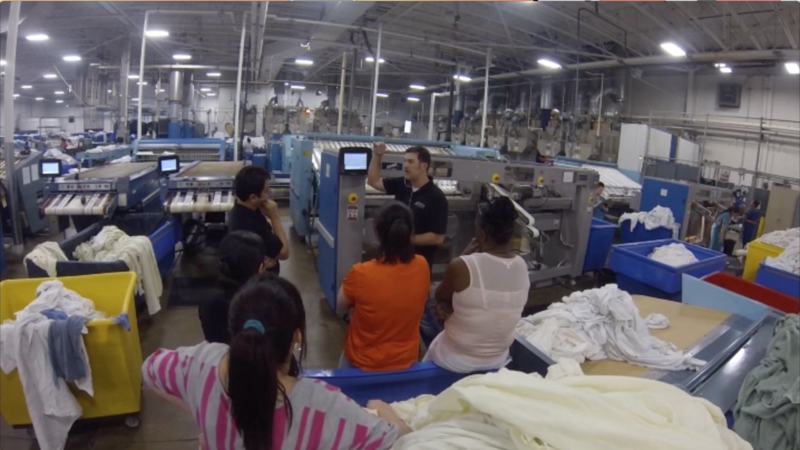 Providing accurate, clear, and real-time reporting, eVue Metrics is a powerful system that can enhance your commercial laundry production and operation capabilities. Current and historical data capturing, sort-to-finish batch and load tracking, customized parameters, instant notifications, clear and easy-to-read dashboard displays and reporting capabilities provide transparency and attention to optimized and potential risk areas. 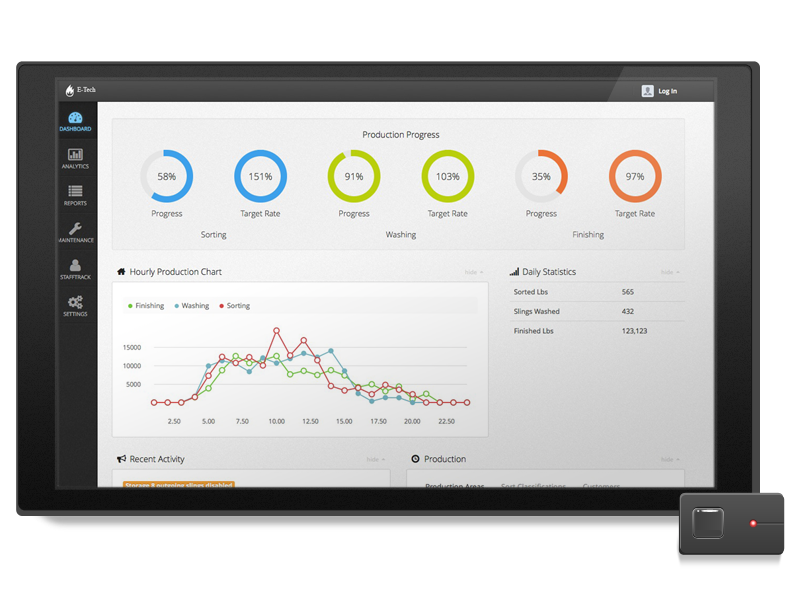 Track productivity and provide real-time performance monitoring with eVue Labor. 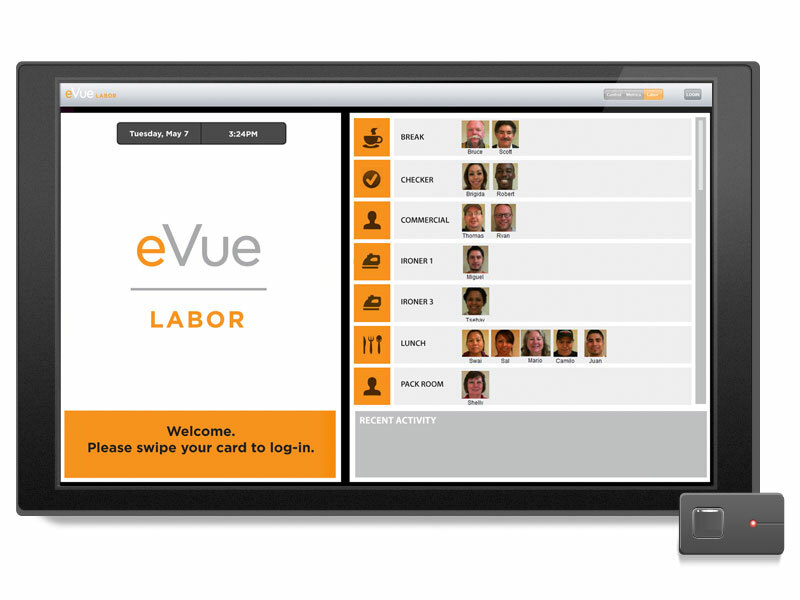 With an easy-to-use, secure, operator-friendly interface, eVue Labor automates time collection, production task assignment, and tracking through a secure RFID login and is easily exported to a payroll system.